Look at what I am learning to knit: modern knitting stitches! 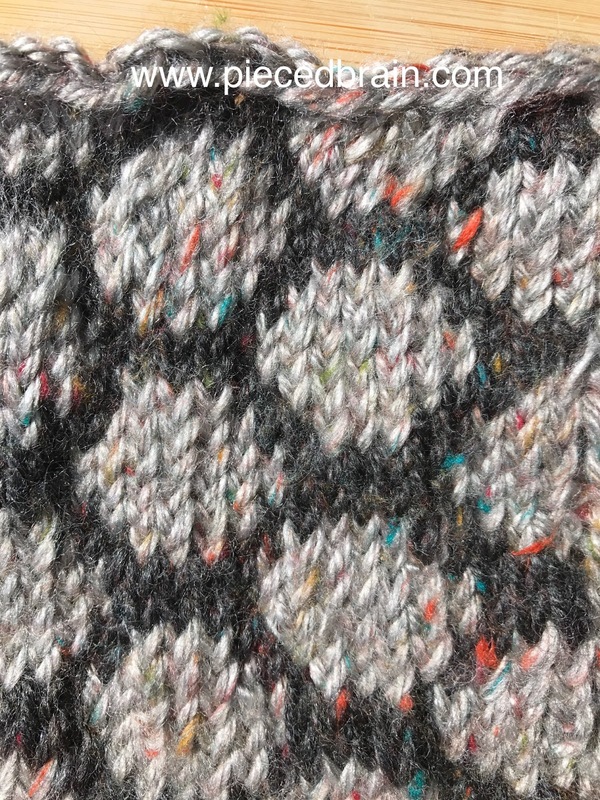 I am pretty excited about this hexi swatch even though I know it is not perfect. I used contrasting yarn colors just as in the pattern photograph. I learned how to knit while holding one color of yarn in each hand. Phew, that was interesting as I actually had to knit using one method with my right hand and another with my left hand. I also had to learn how to work with steeks and then cut (with scissors!) the fabric. That was quite an experience because I have never taken scissors to the knit fabric before. Now that cutting was conquered I think I am ready to knit a small project and practice catching the floats while I knit. 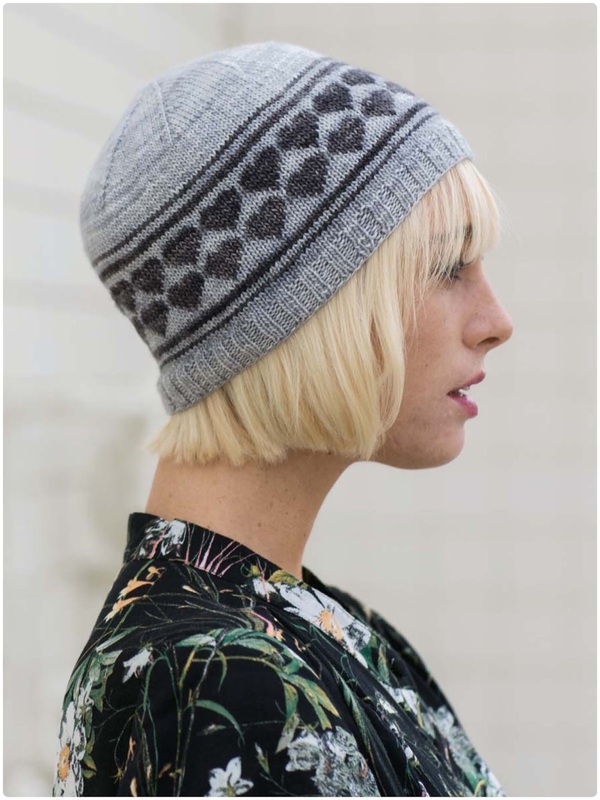 In the first 20 pages of her book, Andrea walks us through the basics of stranded colorwork such as how to choose yarn colors, read charts, work with floats, and how to make these amazing stitches while only knitting (no purling). 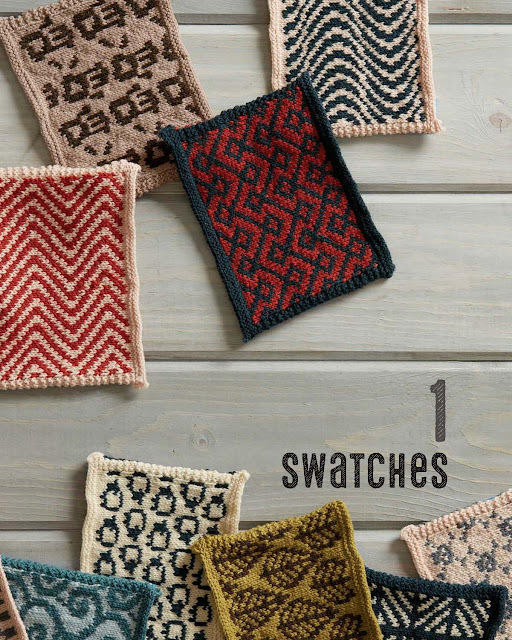 Having all this information in the beginning of the book gives us the confidence we need to choose a stitch and begin working on our first swatch. Photographs by Harper Point Photography for Interweave. Used with permission. 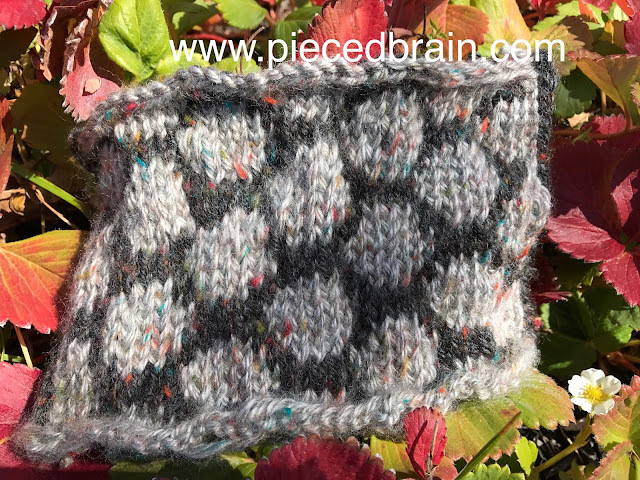 When we are ready for projects, Andrea includes a sample of them to train us on how to choose and use the best stitch for a particular garment or accessory, from all over designs to accent bands. Her stitches are versatile and on the cutting edge of fun! Isn't this beanie super cool! You should see the one with the bicycles! I love the Skull & Bones pullover which can be customized for men's sizes also. If skulls are not your thing, how about knitting a row of elephants, cats, owls, or robots? 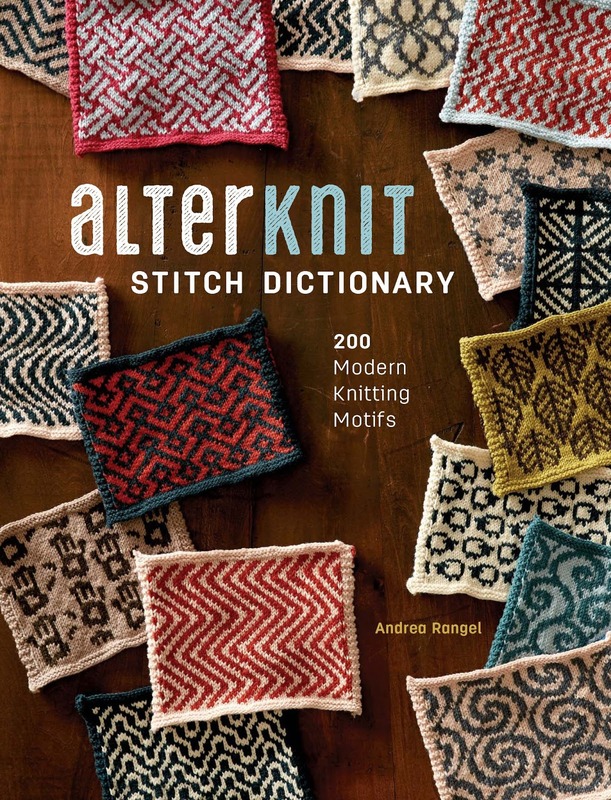 Yes, the 200 stitches include animals, geometric designs, spirals, and a whole lot more. This is Leaves in Water - a beautiful cardigan showcasing her leaves design. I need to finish a sweater I began a while ago to dive into one of these patterns because these motifs are so tempting. I am glad I received this book for review as Andrea has opened a whole new world of possibilities in knitting for me. 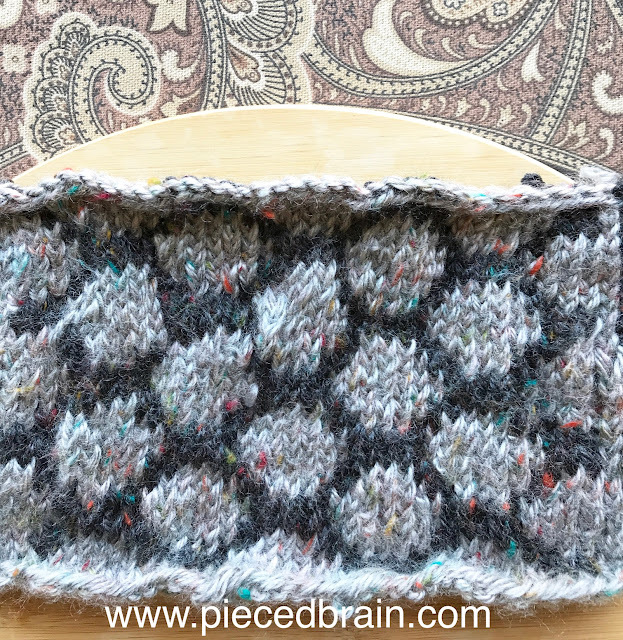 If you love knitting you must check it out! When you see twisted stitches is because I had to rip them and may have put them back on the left needle the wrong way. It happened a few times because I am still learning how to knit with one color yarn on one hand, and the other color on the other hand... I hope this is what you meant.